Frigidaire air conditioners include models with electronic controls; multi-step fans with three speeds; antibacterial filters to reduce bacteria, room odors and other airborne particles; sleep mode; and full-function remote controls so you don't even have to get out of bed to change the temperature. They can be built into a wall or can be mounted in a window. Problems with the air conditioners can often be corrected with a few simple troubleshooting steps. Check that the wall plug isn't disconnected if the unit won't operate. Press the "Reset" button because the device may have tripped. Also, check the unit isn't switched off—press the "On" button. Reset the temperature control to a lower temperature if the room doesn't get cold enough. 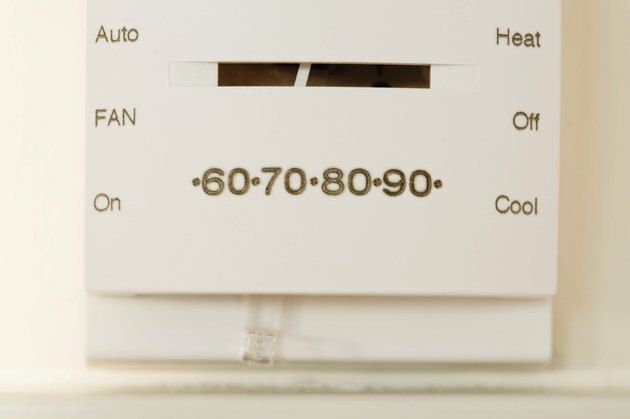 In any case, cooling won't occur unless the room temperature goes above 60 degrees. Check the temperature sensing element isn't touching the cold coil located behind the air filter. Move anything that's touching it—just bend it out of the way. Replace or clean the air filter if the air conditioner works but doesn't cool the room enough. If you see ice forming on the cooling coil behind the decorative front, the temperature may be set too low for nighttime cooling. Defrost the coil by using the fan setting for a bit, then raise the temperature setting slightly. Check for drapes blocking the vents on the front of the unit if the room won't cool down. Reposition the louvered vents to adjust the air flow. Close any doors or windows and let the unit stabilize for a while. There will be stored heat in walls and furniture so the unit should run for a while to optimize cooling. Increase the temperature if the room gets too cold.